sterling silver jewellery york fashion jewellery Silver Flower Drops with Pearl and Crystal Embellishment Sterling silver jewellery range of Fashion and Danon jewellery. Set of three studs measuring between 1-2cm. Dazzle your friends and family with these sparkly flower and pearl earrings. The delicate touches and pale colours make these ideal for weddings and summer parties. 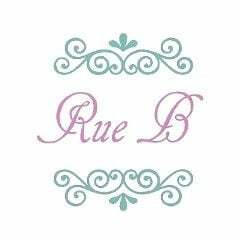 Rue B costume jewellery is made of a nickel-free white alloy and plated with silver, gold or rhodium. It is perfect for sensitive skin, if you can wear sterling silver, you will be fine with our costume jewellery! All Rue B costume jewellery is packed in an organza pouch with tissue and a card card.